We are a low key and unassuming place spread out on 15 acres that has a little bit of everything. 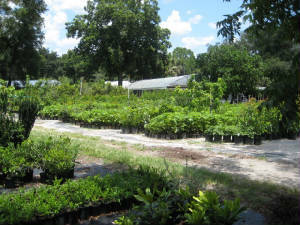 We specialize in landscape plants and keep a good selection of tropical fruit trees and ornamentals on hand. We also have a variety of palms and indoor material.